The Purple Witch - my favourite photo from last year, shot in the morning. Used widely for advertising the event and part of my portfolio. Canon 1DX, 200mm F2l @ F2, fill flash. 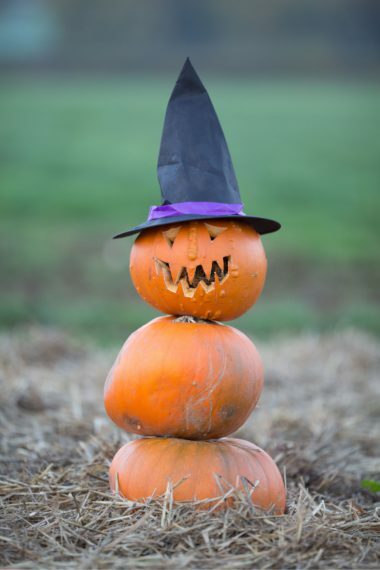 Every year I shoot a Pumpkin Festival deep in the Shropshire Countryside. It's an event that I look forward to well in advance - I'm a total kid when it comes to Halloween and the opportunity to carve pumpkins certainly isn't lost on me at all. There's a huge field of pumpkins and the children (and adults!) get to pick their own - which of course leads to some wonderful photos. Most of the time I'm shooting with my Canon 200mm F2, it's absolutely perfect for an event like this, the wafer thin depth of field makes everything stand out perfectly and the colours are amazing - and as the light gets low towards the end of the day it really does come into its own. There's something about Autumn light, during the day it can stay perfectly soft, no harsh shadows and even a bit of drizzle can help. I have a second body with a 24-70 for group shots, but the 200 F2 gets the majority of the action, and rightly so. 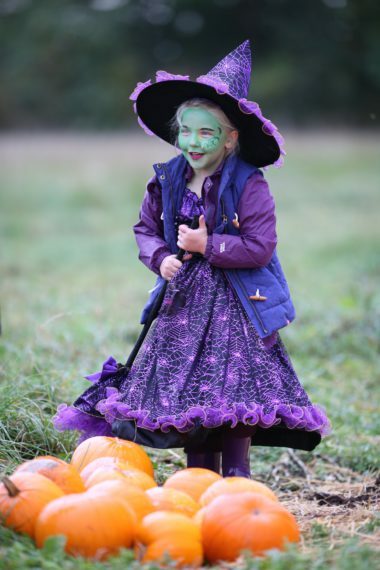 Even though this is one of my favourite events, I can't post a lot of my favourite photos (although these ones are some of my favourites - the Purple Witch has been used extensively for advertising and a version of the Pumpkin Hunter was shortlisted for World Photo). Looking through the shots at the end of the day is incredibly enjoyable though even if I can't share them! At this event I have a huge number of photos in total and I'm certainly not always a machine gun shooter either, but it's staggering really when you think of how digital has removed the limitations, in the days of film it would have cost a small fortune (not to mention the time to run the negatives) and as a result opportunities would have been missed. I can remember shooting with film and being careful with every click - the reason we used two cameras then was often to make sure one of them was loaded with enough film to capture something should it happen! I've got my skeleton out today, he had a bad time last year, both his legs fell off because I laid him on the roof of the 4x4 when I was packing up and forgot he was there - I got 2 miles down the road before someone behind frantically flashed their lights at me. I found him in a ditch and I found his left leg about 50 yards further on. After a long hunt (while holding a skeleton in one hand and a leg in the other) I returned to my car to find the right leg next to the car 🙂 goodness knows what it looked like but it must have given a few people a good laugh! Anyway he's all fixed up, amazing what you can do with a few cable ties! I thought this pumpkin tower was a work of art! Used for advertising. Canon 1DS MkIII, 200mm F2l @ F2. 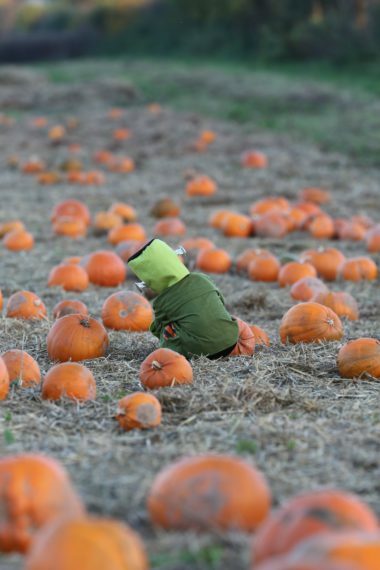 It takes a lot of careful examination to pick the best pumpkin. Used for advertising. Canon 1DX, 200mm F2l @ F2.